Summer brings much joy and pleasure but alongside with sunny days and beach parties summer brings some discomfort and the main problem is harmful UV rays. Sun rays are dangerous for skin and hair and it is utterly important to learn proper hair and skin care tips so that you will have flawless look. I am not going to talk about skin care tips; instead I want to show you some lifesaving tricks that will protect hair from damage. The best way to protect hair from sun rays is to wear a hat. Especially if you spend much time on the beach you should have your beloved hat in your wardrobe. Another easy trick to protect hair is to use hair serums with UV filters. There are zillion products available nowadays but try to find the one of high quality that will not damage hair. 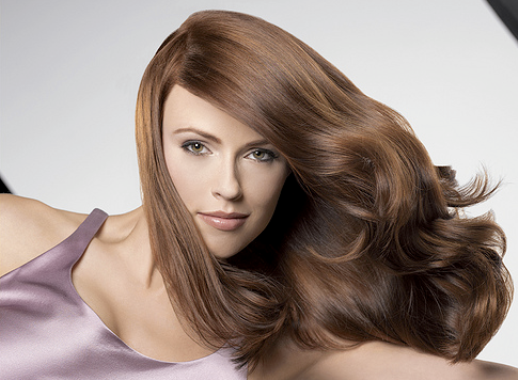 Besides of damage sun rays can make hair dull and frizzy so you should struggle against frizzy effect with hot oils. Include coconut, jojoba, castor oil treatment in your hair care routine and you will feel revitalizing effect of the treatment. Women more often go for color change but it can do a bad thing especially if you choose lighter shade than natural hair. If you really care about the condition of your tresses try to stay away from color change.